Refurbished log cabins on abel lake in the cariboo enjoy the peace and quiet in a rural setting only 15 mins from 100 mile house. 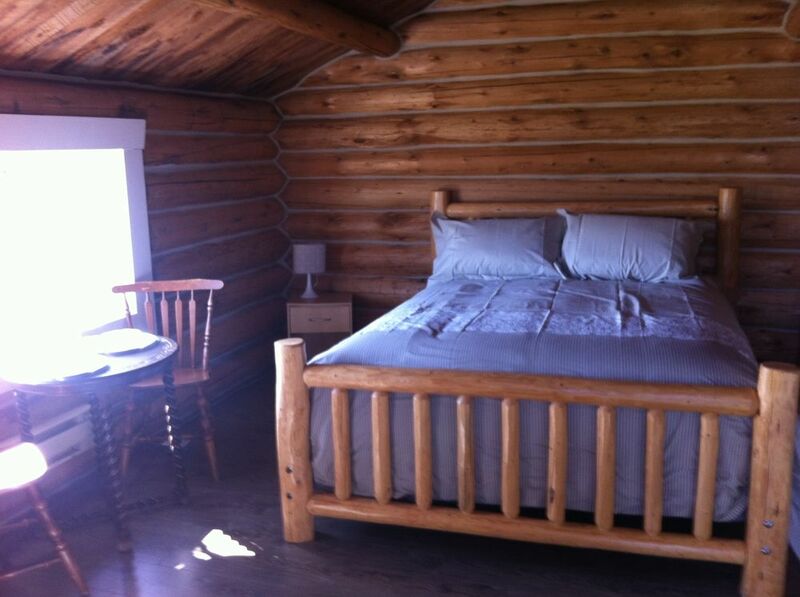 each cabin sleeps 2 in a queen bed with cosy comforters and comfortable mattresses. basic cooking facilities and refrigerator in each cabin. a shared bathroom with shower and bath. Rates for extended stays available on a case by case basis. Great location for a family getaway. Rent the two cabins and bring tents or trailers at no extra cost. Nearby lakes offer fishing and water sports.. horse riding at nearby ranches hiking and fishing available at the ranch.. Very clean and comfortable. Good facilities and used the BBQ while we were there. I am not always keen to share a bathroom but it was not an issue.